The Chancellor’s Spring Statement is an update on the state of the economy, growth forecasts and public finances. But any major tax and spending changes are announced once a year in the Autumn Budget. Set against a backdrop of Brexit uncertainty, last week’s Spring Statement was unsurprisingly, rather a non-event. But what does it mean for you and your finances? 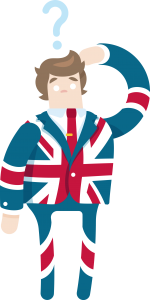 Brexit – The Brexit outcome is expected to have a huge impact on the economy. £26.6bn has been set aside to smooth economic turbulence in case we crash out without a deal, but it could be diverted to public spending if a deal is reached. 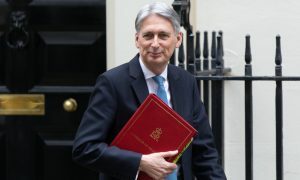 Chancellor Philip Hammond commented that the UK economy is ‘remarkably robust’, but warned of the negative impact of a no-deal Brexit, leading to a smaller, weaker economy and price rises for consumers. However, he remains optimistic that a deal will be reached. He predicts the removal of uncertainty would result in a ‘deal dividend’, boosting the UK economy through a surge in business confidence and investment; it would also enable the government to divert funds reserved for a no-deal Brexit, to a much-needed bolster for public services. The Office for Budget Responsibility (OBR) signalled a slightly improved outlook for the UK economy, with modest growth, rising wages and lower borrowing. (Note: Forecasts are dependent on the UK avoiding leaving the EU without a deal). 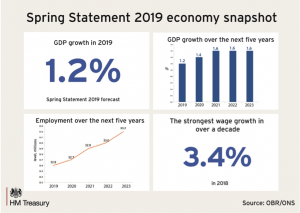 Economic growth: Following 9 consecutive years of growth, in spite of Brexit uncertainty, the economy continues to grow, albeit at a slower rate than expected. (GDP is up by 1.2%). Continued growth is forecast for the next 5 years. Wages are rising at their fastest pace in over a decade; they are expected to increase faster than inflation over the next 5 years, which means more cash in people’s pockets. (Predicted wage growth is at least 3%, with inflation at 2%). Borrowing: Earnings growth has brought in higher tax revenues, reducing the amount the government has to borrow to fund public spending. The combined effect of economic growth and lower borrowing means the National Debt continues to fall. Unemployment is 4% – the lowest level since 1975. GDP (Gross Domestic Product) is one of the key indicators used to gauge the health of the economy. It is often referred to as the ‘size’ of the economy, and represents the total value of goods and services produced by all sectors (agriculture, manufacturing, construction, energy, services and government). As important as the figure itself is the trend; the UK measures GDP quarterly. If GDP is rising, it means that incomes are rising and consumers are purchasing more, which signifies a stronger, growing economy. A decrease in GDP shows the economy is contracting; and two consecutive quarterly decreases mean the economy is in recession. Depending on the Brexit outcome, a potential £26.6bn could be freed up for government spending, if it is not required to smooth over the anticipated economic problems arising from a no-deal scenario. If a deal is agreed, lifting the cloud of uncertainty, the Chancellor has promised a full spending review before summer, aiming to end the ‘squeeze on public spending’. Policing: £100m of extra funding to tackle serious violence and knife crime. Infrastructure: £60m investment in roads and transport systems. Digital giants – more power for consumers: As tech companies become increasingly dominant in the market-place, the government will aim to ensure fairer competition (e.g. review of advertising regulations) and protect the public from online harm. The aim is to provide better services, privacy and transparency, giving consumers more choice and greater control. The Chancellor also promised ‘fairer’ taxation of multinational digital businesses e.g. Google, Amazon and Facebook. Skills: A £700m apprenticeship funding package will be rolled out from April, to encourage SMEs to invest in apprenticeships; this funding halves the rate SMEs currently have to contribute towards apprenticeship training, from 10% to 5%. There are also plans to offer more courses and raise standards, to give people wider choice on training options. From this Autumn, PhD students will be completely exempt from a cap on visas, in a bid to attract highly-skilled workers and boost UK Research and Development. House prices are falling. The price of the average home is forecast to fall 0.3% this year (assuming a Brexit deal, but a greater drop if no deal). Investment in affordable homes to help ‘fix the broken housing market’: the government announced £3bn funding to help deliver 30,000 affordable homes. This move should help first-time buyers, who have found themselves priced out of the market in recent years. 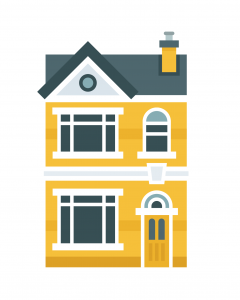 The Autumn Budget investment programme of £44bn, aims to supply 300,000 new homes a year by the mid-2020s, which is expected to benefit 1m people. Environmentally- friendly new homes: As part of the government’s Clean Growth strategy, from 2025 new builds will be banned from using fossil fuel heating systems, and will be required to have low-carbon heating and energy efficiency. As announced in the Autumn Budget, from April the tax-free Personal Allowance will rise to £12,500 (up from £11,850 currently). This is the amount you can earn before you pay any income tax. The threshold at which you start paying higher rate income tax (40%) will be raised to £50,000 (up from £46,350). So for higher earners, an extra £3,650 will be taxed at the basic rate (20%) rather than the higher rate (40%). VAT: From April, businesses with taxable turnover over £85,000 need to keep digital records and submit their VAT returns using HMRC approved software. However, the focus will be on supporting businesses to transition to the new service, rather than penalising those who fail to comply. Income Tax: Some self-employed businesses and agents are already involved in a pilot test to develop the MTD service for Income Tax (to replace the current Self-Assessment scheme), but the service is unlikely to be rolled out nationally before April 2020 at the earliest. 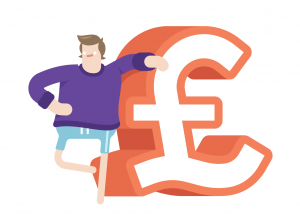 As announced in the Autumn Budget, the National Living Wage increases from £7.83/ hour to £8.21/ hour, which brings in an extra £690 a year for a full-time worker. The government aims to get the wage to £9 by 2020. They have promised a review of minimum wages, with the objective of ‘ending low pay in the UK’. The lowest wage that can legally be paid to employees aged 25+. It is reviewed annually and is supposed to reflect the amount someone needs to earn to cover the basic costs of living and lead a decent life. The National Minimum Wage (paid to Under 25’s) also goes up in April. Check here to see if you’re earning the legal minimum, or if you’re owed payments from past years. (The article includes directions on what to do if you are underpaid). Note most interns should be paid at least the minimum wage, whatever the length of your internship. If there are any problems, you should take it up with your employer in the first instance, and if it remains unresolved, get advice from Acas, or report it to HMRC, who will investigate. Crackdown on late payments to small firms: According to the Federation of Small Businesses, late payments affect 4 out of 5 of small firms, impacting their cash flows and leading to the closure of 50,000 a year. The Chancellor announced policies to tackle the poor payment culture of larger businesses, including a requirement to report on payment practices in annual accounts.